Belgian Restaurant Week Washington, DC will take place from July 14th – 21st. Participating restaurants include Belga Cafe, Brabo, Brasserie Beck, Et Voila, Granville Moore’s, Locolat, Marcel’s & Mussel Bar. You’ll find great food and drink specials at all restaurants. For more information, visit: www.belgianrestaurantweekdc.com. Best mussels (and deal). St. Arnold’s in dupont or clev park. 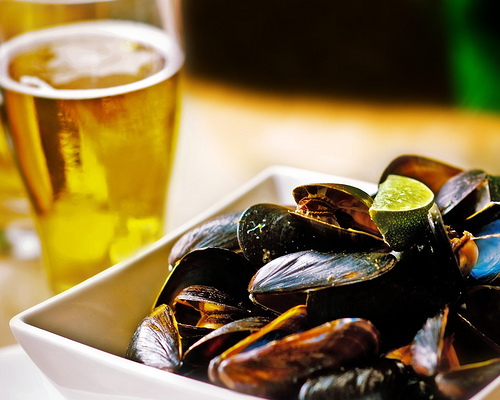 half-priced mussels from 5-7 ($9 after deal and includes fries).